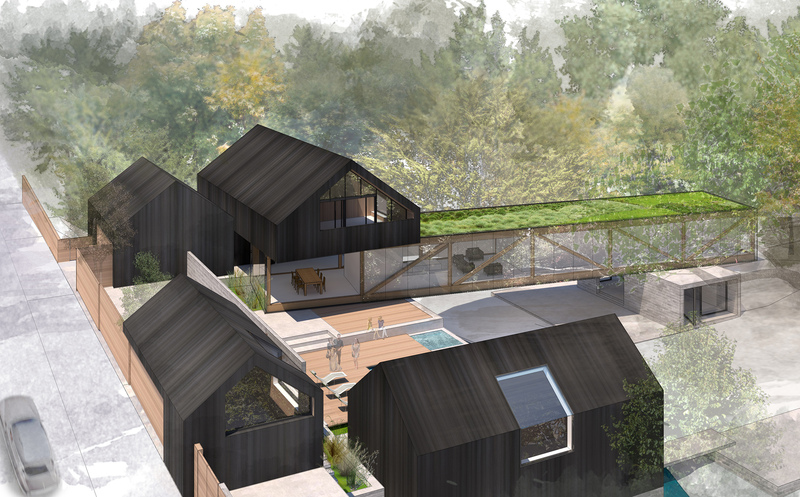 Assembledge’s conceptual masterplan for a property located in Santa Monica, California, is a remodel and addition of a residential compound set beside a creek. 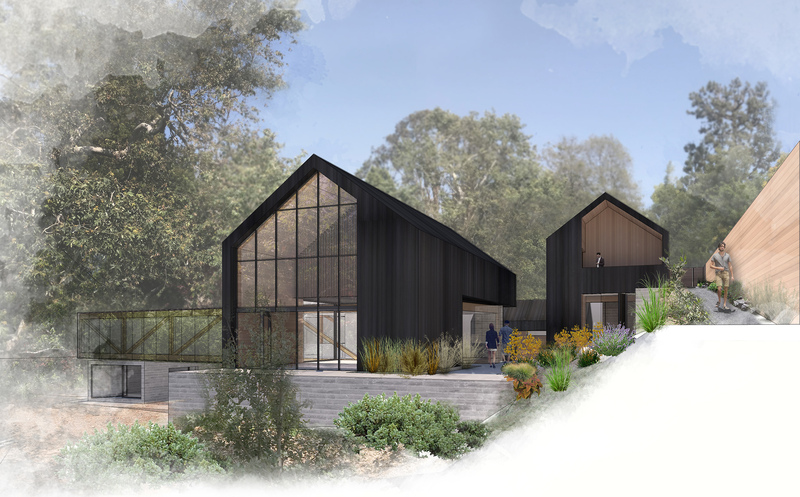 Existing garages and a pool house have been left in their current location and focused on re-orienting the new main house to activate and access more of the site. 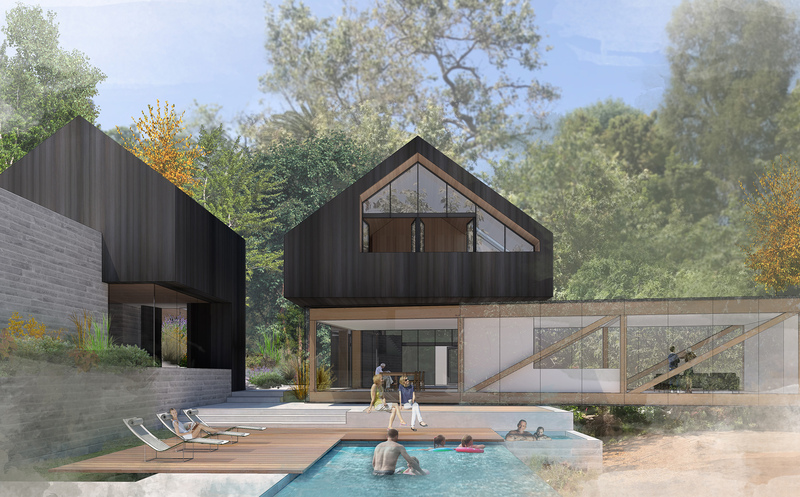 Freed from the tight, restricted footprint of the existing main house, the new home is able to react and respond to the different buildings, topography, and landscape zones on site. All four buildings draw inspiration from the iconic gable house shape and they are finished in a matching facade material. With the buildings sistered in this way, the property reads cohesively from all angles on the site as well as from the street. The entry from street level follows a meandering garden path that slowly descends below the lush canopy of the site’s trees. 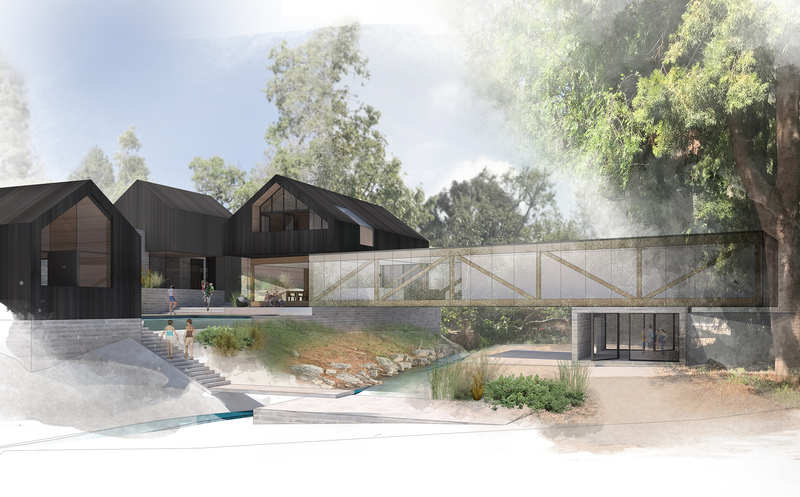 Programmed transparency at the ground level allows one to slip visually and physically through the house to the pool deck at the edge of the creek at the heart of the site. A glass bridge reaches across the creek to engage and activate the northern half of the property. 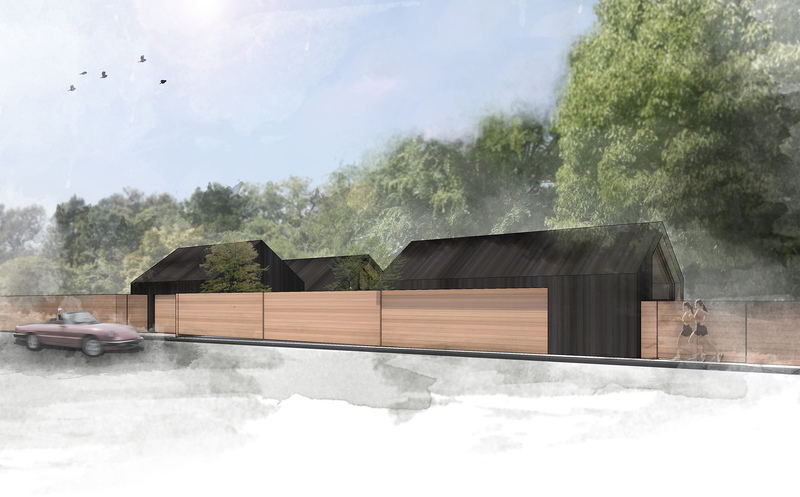 The bridge lands atop the artist’s studio which looks back towards the pool deck and completes the circuit. A fragmented and confused site is transformed into an inseparable sanctuary hidden in plain sight through simple, yet powerful and purposeful interventions creating a single, cohesive estate.